Our mission is to be a resource that supports the creativity of artisan woodworkers by offering them the widest selection of exotic and domestic woods in Quebec. Our commitment is to meet our clients’ high standards and offer lumber and quality products at fair prices. Our passion is conveyed by sharing our expertise with our clients and by offering a wide range of complementary specialised products and services. Our vision is to become the indispensable lumber destination in Quebec for artisans and those passionate about woodworking. Langevin Forest was founded in 1917. Its success is largely due to the public recognition of the nobility of wood. Until the end of the 1980s, it was a local building supply store. In 1988, a new owner – Henri Turcot – came along with progressive ideas. The new business moved away from the building supply market, focusing instead on its core market: woodworking. In 1992, more than 35 hardware stores in the area closed due to the arrival of the big box stores. 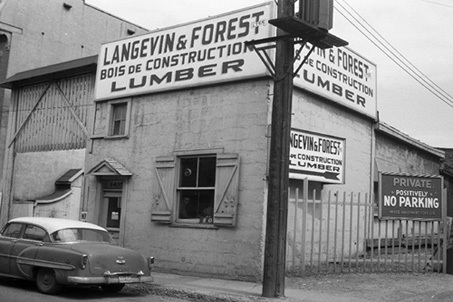 Rather than competing against these giants, Langevin & Forest targets the niche market for exotic woods and specialized tools. 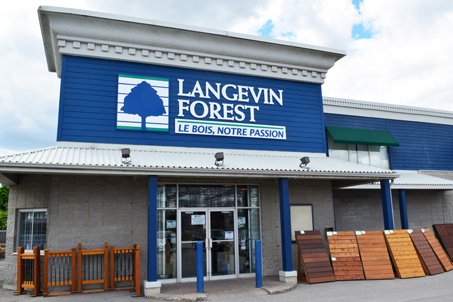 In April 2002, Langevin Forest opened a new 8,000 sq. ft. store, quadrupling their size. The layout of the new store showcases various stages of artistic woodworking: carving, turning, millwork, cabinetry, arts and crafts, exotic woods, wickerwork, and hobbies. Langevin Forest has the largest selection of woodworking books in North America , with more than 2000 titles. In addition, we carry a large selection of furniture drawings, specialized tools, and the widest selection of exotic imported woods from around the world.